Can you solve for the value of religion in this equation? During my debates on morality I point out that all of the good teachings in the world religions (which show up in all of them) are really HUMAN values: peace, love, cooperation, and so on. Those values transcend religion, and are in fact the values we use when we are judging from the outside whether we think a particular religion is good or not. (So they must not originate from within religion.) When you factor out the common teachings shared by all religions (the good stuff, the humanistic stuff), what you are left with are NOT good teachings. The so-called “religious values” that Christians, Jew, Muslims and other groups hold are divisive, idiosyncratic, and unproductive to moral discourse: what day of the week you should worship, how women should dress, what foods are permitted, whose beards can be shaved, who is allowed to be married, and so on. Thinking of it like that, there is actually no overlap between “human values” (informed by science) and “religious values” (derived from holy scripture). Why is William Lane Craig not worth debating? Because it’s the wrong thing to do…. some might even consider it immoral. 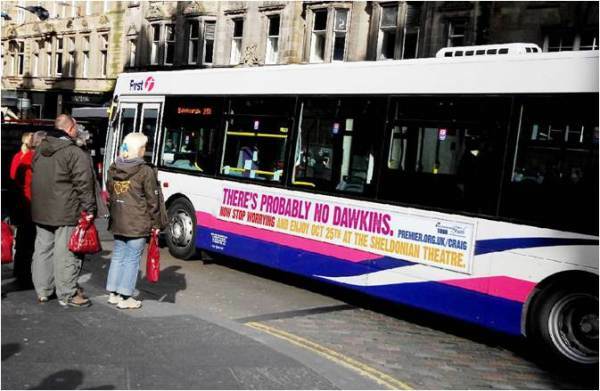 There has been a bit of a kerfuffle over Dawkins’ refusal to ‘debate’ William Lane Craig on the basis – so Craig and his supporters insist – of intellectual cowardice. This is just too rich. Dawkins has explained why he won’t debate Craig only to met with many times with this kind of typical journalistic dribble… widely accepted by apologists to fairly represent the legitimacy of Dawkins’ intellectual cowardice. What I don’t see (other than on atheist websites like those found here, here, and here) are many apologists appreciating why Craig’s line of thinking is so dangerous and flawed. Sure, if we hold the man to the same standard as he would have us hold for Dawkins, he is at least as cowardly so that’s not it. I think those who endorse Craig’s stance as an apologist of intellectual heft need to be shocked back to reality. And the way to do that is to show that there is no difference between Craig’s line of thinking and that used by oneof the architects of the Nazi genocide: Himmler. Craig is using the same line of reasoning as Himmler did, and that this fact should concern apologist supporters far more than it apparently does. Cruelty does not become something else, just because it is imagined to be the command of a god. Yet supporters of Craig call this kind of thinking reasonable and I guess intellectually courageous when it clearly is neither reasonable not courageous at all. It is a rationalization to excuse the content of an atrocity – real suffering of real people in this temporal world – on the basis of the assumed sanctity of its source: scripture. This – what’s called the divine command theory – is what Craig is saying, what he is promoting, what he is proselytizing, and no ‘debate’ in the world will alter his position one iota because the line of reasoning he uses is demonstrably NOT reasonable. It is NOT intellectually courageous. It is immoral. Yet support for it is locked into position in Craig’s mind and those of his supporters as a matter of immutable faith, which is the mental groundwork necessary for atrocity to be done and called holy. It’s the thinking Craig uses that is broken and it is broken across the board in his presentation because it is intellectually dishonest. No matter how much effort people put into correcting Craig’s broken line of thinking with fact – in his erroneous physics, in his erroneous mathematics, in his erroneous conclusions built upon these errors – he rejects factual correction and moral considerations of imposed cruelty and continues to spout the same intellectual garbage at every debate. He has immunized his mind from reality’s corrective input, and here his supporters continue to cheer him on while deriding others who exercise intellectual integrity for not helping this supporter of genocide draw crowds. Why do atheists comment about religion? A writer for the Religion section of the Huffington Post is surprised by the number of atheists reading and commenting on his posts. He asks: why are atheists visiting the Religion section? You’re selling a defective product. Atheists are consumer advocates warning others about those hazardous defects. I think this encapsulates why atheists bother: they are trying to fix something in need of fixing. 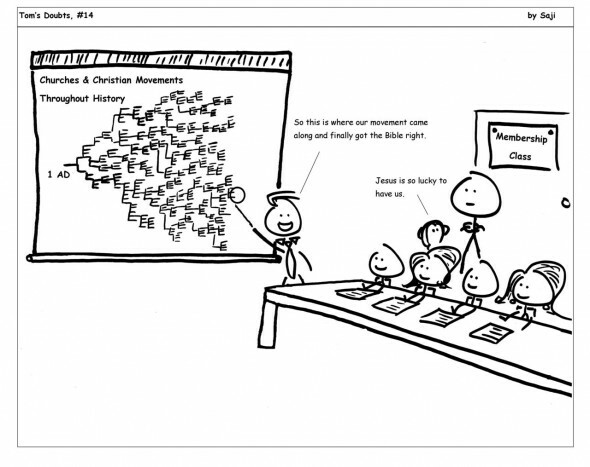 I know that I comment elsewhere when I am trying to correct yet another intentional misrepresentation, introduce what I think is a better idea, or offer an argument not previously considered, but mostly because there is a need to point out that faith-based beliefs are not equivalent to what’s true in reality on the merit that they are simply believed to be so. I constantly ask myself, “Is this claim true, and how do we know?” When it comes to religious claims, the answer is very clear: the claim’s truth value has no merit derived from reality but from faith alone… usually faith that some literal scripture or scriptural interpretation is an authority that can be trusted to be true. This is a problem when these claims from scriptural authority – that supposedly describe reality (and yet are filled with plenty of examples where they got it factually wrong) – is the basis on which we are told are worthy of our intellectual respect, that the liberal use of a blanket faith based on this authority is actually an intellectual virtue. This is the path to elevating ignorance and superstition to be equivalent to knowledge, this trust in a dubious authority, and it is dangerous to leave this notion lacking proper public criticism. After all, when we respect another’s beliefs about reality to be equivalent to reality, we have gone along with the charade to forfeit reality’s role to be the final arbiter. This is identical to pretending it’s okay to let stand the assumption that faith-based beliefs – indistinguishable from delusion in every way – and reality are really the same thing… willing to pretend that there is no reliable way to tell them apart. Well, there is a way and it starts with some honesty about what we know and how we can trust what we know. It’s called methodological naturalism and it demonstrably works for everyone everywhere all the time. No trust in faith-based claims is needed to find out what’s true in reality when we trust reality to be the authority for claims about it. And more people need to know this and have their beliefs held to account when there is a discrepancy. It is this willingness of the faithful, the apologists, and the accommodationists to capitulate the value of honest knowledge on the altar of religious respect that needs to be confronted in public. Furthermore, the conclusions about reality reached by those who assume some faith-based authority need to be challenged when they stand in conflict with knowledge extracted from reality. Faith-based beliefs are not equivalent to knowledge but stand contrary to it, and this fawning faux-respect for the faith-based claims made by others should be criticized for the negative effects it has on more of us trusting the method of inquiry that does in fact yield practical, reliable, and consistent knowledge we can (and do) trust for very good reasons. Those who respect faith-based claims require more, not less, public criticism – not necessarily for the benefit of the person willing to reject reality’s role in arbitrating what’s true about it (and the knowledge we gain from inquiring honestly into its workings) but for those whose minds are still capable of being swayed by better reasons than what the faithful can offer. This has to played out in public view and all of us have a stake in it, which is why places like the widely read religious section of the HuffPo are an important venue to make the case for reality. Certainly the religious aren’t going to promote reality’s importance, nor those who are willing to apologize and accommodate faith as an equivalent kind of knowledge when that obviously is not true in fact. That leaves us atheists to do the job: consumer advocates for respecting what’s true. And it’s working (see the evidence through the additional links in the body of the text here). Of course not. He is a patriot (of the New and Improved kind!). But what that means to you now isn’t quite what you may think it means by the time you reach the end of this post. I think he is the antithesis of a patriotic American because he is intentionally undermining both the Constitution, to which he has sworn to uphold and protect from enemies foreign and domestic, and the Bill of Rights using cherry-picked bits of history to revise it in a way that makes up seem down, left seem to be another kind of right, and American history to support the delusion that religion – rather than the Enlightenment values of reason, liberty, science, and free enterprise – was responsible for these founding documents. I think if the question is Does faith matter, absolutely. How can you have a country which is founded on truth, which begins, “We are endowed by our creator with certain unalienable rights” — how — how can you have the Northwest Ordinance of 1787, which says religion, morality and knowledge being important, education matters? That’s the order: religion, morality and knowledge. Gingrich is a slippery one and vile in his abuse of history to serve his pro-religious anti-Americanism. And it is anti-American. He is trying to make it appear that the country’s governance and public education has a religious foundation. This is what we call historical revisionism… a polite way of saying someone is approaching the line children and other plain speakers call lying. In Gingrich’s case, clearly he is attempting to use his knowledge of history to support that which is not historically accurate. The polite can call this historical revisionism. I call it anti-American. Hamilton and Madison, who explained the Constitution clause-by-clause in the Federalist Papers, did so totally without scriptural references. Funny, that. Gingrich avoids these vital documents presumably because they do not support his revisionism nor the intention of his revisionism. Note that it would have been good politics for Hamilton and Madison to argue that the Constitution was based on scripture, but there was no scriptural basis for concepts like a decentralized federal republic, a two-house legislature, limited government with enumerated powers, representation based on population, checks and balances, prohibiting religious qualifications for holding office, allowing secular oaths, and providing that a man-made Constitution was the supreme law of the land, which derived power solely from the consent of the governed and not by god. This shows just how carefully Gingrich picks what he does: he has a religious agenda to serve and it is not to in the protection of the Constitution and the Bill of Rights. His agenda is to undermine them in the name of promoting religious piety. Gingrich would have us believe that this revolutionary Constitution recognized the supremacy of god, whereas in fact it removed god entirely from government of the people, by the people, for the people. As a historian, Gingrich is cherry picking only those quotes which seems to support the importance of religious faith in government, whereas in historical fact this revisionist claptrap is unequivocally and patently false. He is trying to claim black is white… always a good indication of an agenda-driven sleight-of-hand. In my mind, Gingrich has joined up with the movement I call lying for Jesus. And, for extending the fundamental principles of civil and religious liberty, which form the basis whereon these republics, their laws and constitutions are erected; to fix and establish those principles as the basis of all laws, constitutions, and governments, which forever hereafter shall be formed in the said territory: to provide also for the establishment of States, and permanent government therein, and for their admission to a share in the federal councils on an equal footing with the original States, at as early periods as may be consistent with the general interest. Note that it doesn’t require religious education — or any education; it merely encourages schools. So why did Gingrich mention this line alone, devoid of context in which it means the opposite of what he is trying to convey? Perhaps it’s because it gives the appearance that there’s some kind of founding authority that government schools should teach religion. This is bunk and Gingrich knows it is bunk. Any second year American history student knows this is bunk. Heck, even I know this is bunk and I am neither a university grad in history nor even an American. What’s Gingrich’s excuse for this gross misrepresentation? What is clear is that he is prostituting his knowledge of history by cherry-picking bits and pieces he can reassemble into what amounts to a blatant misrepresentation of historical fact in order to appeal to the ignorant biases of his uneducated audience for his own political gain. That it comes directly at the expense of upholding the intentions of nation’s founding documents seems not to matter to him or his audience. Such historical revisionism contrary to the spirit of the Constitution and Bill of Rights smacks to me of sedition for political gain. This is what Gingrich actually means for America, although he does his best to paint non believers as the enemy, those who are morally suspect for their lack of faith who will abuse the public power they are granted by the electorate unless they have religious faith, yet we see just how willing Gingrich is as a believer to use that highly touted faith to increase his chances to win public power by undermining support for the those founding documents! With patriots like these, who needs enemies? But under the skirts of religious piety, Gingrich and the other whack-a-mole religious nutjobs that front the Republican party are doing their level best to undermine their Constitution and Bill of Rights and call the endeavor patriotic. But hey, what’s revising a few words to mean their opposite when you are already willing to revise history in order to reverse the intentions of your country’s founding documents to mean what they don’t mean? 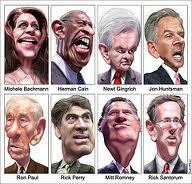 That’s why I think Gingrich and his ilk are indeed the new and improved version of an American patriot. How many times can we run the Global Warming Experiment? Exactly once. And we are. Right now. So who should we believe? Those who predict climate instability from anthropomorphic warming or those who say climate changes is part of a natural cycle? The right question is how should we be managing our risk better. And that message needs to take over this ‘debate’. Why do we need to keep criticizing faith-based beliefs in the public domain? I like to comment on web sites that promote some kind of faith-based belief (usually about god but also about any kind of woo accommodationism and/or acceptance) that make intentional misrepresentations. Usually, these misrepresentations are about atheists, science, and history. I feel the authors of these misrepresentations are in need of challenge and critical review. All too often, however, my criticism of any kind (as well as any questioning of the author’s motives to avoid meeting the challenge) is identified as aggressive and hostile and I am quickly banned from any further comment, which is the web site author’s prerogative of course. Being polite is equated with respect only on the condition that one is in agreement with the author, whereas any disagreement is labelled as in need of administrative moderation supposedly for the tone of my comment… usually followed by an opportunity to mend my ways (that is to say, stop being critical) before being banned. But before anyone think this pertains only to the more fringe religious web sites, let me assure you that it crosses all boundaries… from Chris Mooney’s personal fiefdom at Discovery Magazine’s The Intersection to John Shore’s popular blog to Sabio Lantz’s Triangulations. Notice that I will not link to these sites: such censorship of criticism is not my idea of promoting a free exchange of ideas. This issue of tone and the accusation of hostility the average atheist brings to various forums was brought up on No Apologies Allowed. I commented that many theists bring nothing but their beliefs to the discussion, beliefs that are equivalent to made up stuff, a disregard and disrespect of what’s true, and an attitude that belief is equivalent to knowledge, pointing out that in sum absolutely nothing is being offered to others on the forum. I also explained that this is often seen by others to be nothing more than concern trolling, and so these commentators are treated rather harshly by other commentators. When asked why atheists bother to offer commentary that is “hostile” to faith-based believers, I concluded that religion affecting policies and governance in the public domain was in great need of sustained criticism. Most religions deal with behavior and set standards for it. How can that not help but be related to the public domain? For me, the claims related to Jesus of Nazareth and His teachings form the core of my interactions with people. After all, when He was asked about the greatest commandment (a standard by which we are to judge our behavior), He instructs us to not merely love God in our own personal domain, but to love our neighbor as we love ourselves. Sorry for the length of this comment, but I hope you will find it useful. This is actually a central topic of concern: the push to impose behavioural rules on everyone under the banner of some people’s favoured religious morality. And under the term ‘behavioural’ falls a host of legal positions under which all will be subjected… like abortion, euthanasia, gay marriage, adoption rights, stem cell research, reproductive rights, and so on, all of which have a very profound religious impetus. This raises a very important public concern: are our laws and public policies being formed for good reasons that stand on their own merit? Or are these global positions being formed on the assumption that faith in some divinely sanctioned morality should properly rule all? To the religious, the authority of personal religious revelation and various scriptures can be very potent in and of themselves and widely considered ‘good’ by the faithful on this basis alone… assuming that god only supports (and reveals) what’s ‘good’ (raising the Epicurus argument) rather than appreciate that this makes god subservient to what’s good (an intolerable ethical consideration to those who believe god is omnipresent, omnipotent, omniscient, and omnibenevolent). The counter argument is that whatever god does is good in and of itself, so it’s difficult to sit him down and find out exactly what reasons inform his chosen moral position. We must take certain moral positions on faith, many theists insist, and just go with that authority. To the atheist, this reasoning is not reasoning at all but an intellectual capitulation to the priestly caste to do our thinking for us. And we know that theocracies that do this are the most backwards and unenlightened regimes in the world. Human rights, freedoms, and the legal dignity of personhood afforded to individuals in the west under secular liberal democracies are antithetical to these totalitarian theocracies. So we have a self-interest to make sure the state does not become an arm of any theology if we wish to protect our legal rights and freedoms from any totalitarian authority. All of the above-mentioned issues have some bearing on the theological/human rights divide. Just seeing this divide is a major impediment when theists by and large assume the two are compatible… yet are compatible only if the separation between state and various religions are respected in law. So when people bring their religious views to a discussion and expect the other to respect faith alone (as a good reason for holding some opinion that involves a moral component taken on faith), we find a conflict of interest immediately: theism practiced through law in the public domain (meaning having effect on public policy and governance) excused on the basis of divine morality is incompatible with a primary respect for an individual’s rights and freedoms. Each of us really must choose which hierarchy to support: a primary respect for the state to remain secular or a primary respect for some moral faith claim to trump individual rights. Only one can be primary in law. That’s why I say religious belief must remain in the private domain where what I religiously practice does not affect your rights and freedoms, and your religious practices do not effect mine. I think that can work. The argument I go back to is on what merit does this theistic moral claim trump that contrary theistic moral claim? Said another way, the important questions all of us must answer is 1) Is this claim true, and 2) how do I know? You are well aware that contrary claims made in scripture become arguments of various interpretations and divine intentions. Without a clear answer about which one is correct, however, it seems to me that all theistic claims even if contrary to one another have the same merit: it is simply a matter of faith. This explains why in just christianity there are over 30,000 sects with many contrary moral claims based on different interpretations offering up many ‘authorities’. Without having any need to go into any of them, faith is obviously no reliable way for us to discover some singular divine moral code or theists would have long ago come to a consensus on what that actually is. When you throw all the world’s religions past and present into the mix, we have no cohesive notion of what any divine moral code might actually be in practice nor any reliable way to find out if any of them are, in fact, true in an honest comparison. But a moral code based on Enlightenment values is a cohesive set of rules of behaviour, and we see how human society can flourish when we keep the state out of the business of promoting any one particular religious moral code; instead, we promote a fully secular legal system based on everyone’s shared individual rights and shared freedoms and we allow people to have faith in whatever set of beliefs about god rocks their world… as long as it doesn’t reduce or effect the rights of anyone else. As soon as someone understands that the religious views about abortion or gay marriage and so on really does impose one’s own moral preference over and above another the moral preference of another by curtailing their individual rights and freedoms, then we have made progress. In this sense, these fundamental disagreements between theists and non theists can be better understood to be about maintaining and protecting shared rights rather than one over accepting or rejecting god. This issue if not us/them battle between faitheists and anti-faithiests; it’s a battle over a shared or favoured public domain. The hostility/aggressiveness the theist hears from the non theist is spoken in the tone of defending our mutual rights and freedoms with passion. The aplogetics the non theist hears from the theist is spoken in the tone of honour and respect for god. The middle ground that I think will eventually be found acceptable to all rests with theists believing what they wish for themselves and rendering all issues secular to Caesar’s public domain. Can we know what’s true in reality? I keep coming across this notion that all truth is relative, so that scientific findings accomplished by man should be understood to be less reliable that the certainties that can be assumed deduced from faith-based beliefs. In a life filled with people whose individual realities depend on their personal perceptions instead of the true unprejudiced reality, our belief systems…our truths, if you will, are definitely biased. Everyone’s reference points are based on their perceptions of their experiences. Even our perceptions of the truths […] are subject to unreliability because we are who we are and our eschewed views. Only one who has the life of God in him can hope to taste of truth and only as we constantly examine ourselves and stay in fellowship with Him can we hope to interpret that truth correctly. How do we not fool ourselves? Respecting the method of science – by using what is known as methodological naturalism – is an excellent starting point. The products of this method speak for themselves: so far, they work for everyone everywhere all the time. How is that ‘relative’ just because it always maintains room for doubt? This notion – that what is true is somehow relative to one’s subjective experience and beliefs – is probably one of the most common yet odious opinions bandied about as if it were widely accepted as correct. It’s not. It’s an epistemological placebo for the intellectually lazy. Yes, Virginia, there is a reality, and we can actually know something about it if we choose to make the honest effort. Pretending that our subjective faculties prohibits this discovering of reality is the worst kind of apologetics because it assumes we cannot know without certainty… and confuses anything less than certain with something less than what’s true in reality. This little shell game of substituted word meanings tries to make anything less-than-certain equivalent – and that’s where it veers off the twin paths of reason and reality and inserts the term ‘relative’ as if that were appropriate answer to this warped thinking. It’s not. It’s dishonest. The physical laws of nature are not relative just because someone is so intellectually impoverished that they can only appreciate probabilities of P=1 to equate with what’s true and knowably so. It does not bolster this misunderstanding to pretend that all other and lesser probabilities are equivalently ‘relatively true’. That’s absurd and demonstrably so. To assume that anything less than certain means it is equivalent to something unknown is ridiculous by all practical measurements unless someone is honestly and equally surprised each and every morning that the sun rises. Such a person isn’t intellectually lazy but brain-damaged. Even so, few people are actually so dull and unimaginative that patterns in nature are either unrecognizable or equally untrustworthy. To call anything less than certain ‘relative’ is a gross distortion of how much we can know and trust about that knowledge of reality we have gained. Relativism is an intentional and misleading excuse to try to make equivalent faith and fact, as if Ergo Jesus is a legitimate answer in place of I don’t know because I have some element of uncertainty. Relativism argued on the basis of this subjectivity is just broken thinking petrified into ignorance by a lack of intellectual honesty. Are the religious more socially responsive through charity and volunteering than the non religious? In terms of civic engagement and formal volunteering, the figures show no significant difference between those with a religion and those with no religion (57% and 56% respectively). There is scarcely any difference in participation between those with no religion and self-described Christians (56% and 58%). At 44%, the proportion of Hindus and Muslims participating in civic engagement and formal volunteering is actually lower than the proportion of non-religious people doing so, and the lowest of all groups. This is no flash in the pan – it is a continuing feature of the figures over a number of years. The figures supplement other data that makes the same point, not only from previous years’ citizenship surveys. In 2007, Faith and Voluntary Action, from the National Council of Voluntary Organisations found that “religious affiliation makes little difference in terms of volunteering”, and as a matter of simple numbers, the overwhelming majority of the voluntary, community and charity sector in the UK are secular. Non-religious people are volunteering all the time, but don’t feel the need to do it in the name of being non-religious. They may even do it for charities that have a nominally religious origin. Being therefore less visible than specifically religious contributions to society, this can support the myth that non-religious people do less community work. This anecdotal misconception can only be corrected by data, which is not something to which most people have access. So I’m just doing my bit to spread the data to a wider audience (and even I have donated through religious organizations for specific charity work and I wouldn’t consider myself much of a religious supporter). 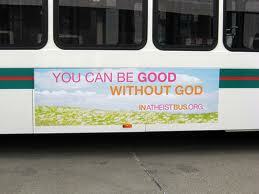 Yes, Virginia, you really can be good without god Now… where’s a bus to carry that message? Oh right… this atheist campaign to adorn buses with reassuring messages that morality is not dependent on religious affiliations was refused access to advertise on public transit in my hometown. Too… militant and strident and divisive for the public transit commission officers making the decision to reject it. That the message happens to be true in fact doesn’t seem to carry much weight in such decisions made on the public’s behalf. No surprise there. Which religious movement is the correct one? This, of course, is a fatal argument ignored by religious folk everywhere: which religious movement is the correct one and how can you know? On the up side, if a lack of evidence from reality is merely a convenience rather than a hindrance for maintaining this faith-based belief over that one, then the downside is that any and all beliefs in agencies of oogity boogity are equivalently empty. What’s wrong with a little bit of discrimination in the name of jesus? 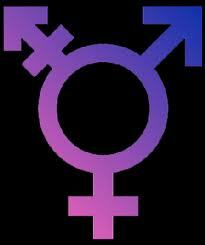 Discriminating on the basis of gender and sexual orientation is illegal in Canada. Yet in spite of this clear law, some think that their personal religious beliefs outweigh the civil rights of others… beliefs supposedly ordained by the sometimes metaphorical/sometimes literal god and the sometimes metaphorical/sometimes literal scripture sometimes dictated/sometimes merely inspired. When the law is enforced to ensure equality under it, the outcry from many in the religious community is that religion (and the right to express it) is what’s under attack by those evil forces of darkness known as secularists. This is a clue for the rest of us: when up becomes down and black becomes white, we know we’re dealing with people who don’t care about what’s true and are comfortable in their hypocrisy. This is especially revealing when the religious embrace their hypocrisy and claim that their right to discriminate is violated by enforced equality-of-rights laws. The ability to appreciate irony in action is obviously lacking in such people. The owner of the Trails End Farmers Market (in London, Ontario, Canada) was presented Saturday with a petition containing the signatures of more than 4,000 people. About 30 protesters arrived at the Market on Dundas Street East shortly after 11AM to personally present Ed Kikkert, who’s owned the market for 28 years, with their petition, asking him to reconsider a decision last month to ban transgendered employees from working at Trails End. Kikkert received the petition and thanked the demonstrators for stopping by, but indicated he was not interested in how many people had signed the document. Note that the owner has no theological problem working on his sabbath in spite of clear scripture that this is a rather serious no-no. He probably picks up sticks on this day, too. We are left with the kind of intricate moral quandary that bible supposedly clarifies: does god favour Ed’s father or brothers to stone him to death for these transgressions or should the wider community gather to carry out this enlightened punishment… in the name of jesus who upholds such a law, of course, whose decision should be the only one that matters apparently. The absurdity of Ed’s hypocrisy in the name of jesus will be dismissed by other religious folk as being unrepresentative of christianity as a whole, that those who criticize the authority of scripture on the basis of such necessary hypocrisy do so only because they are unable or unwilling to appreciate a more sophisticated interpretation of god’s will in the matter (that is to say, unable to respect the correct cherrypicking of bits and pieces of scripture that agrees with a particular believer’s personal morality). But we can see how the claim to a higher authority derived from some personal religious belief like the kind Ed adheres to is in fact an unequivocal expression of a common religious belief that is antithetical to a shared acceptance of democratic and Enlightenment values and the equitable rule of law based on them. We can see that far from bringing people together to create a wider and more caring community so often advertised as religion’s central social contribution, religion just as easily can be used to drive a wedge between people, granting unearned and unjustifiable moral sanctity for some to discriminate against others only on the basis of cherrypicked religious belief. As usual, we are left shaking our heads at how unreasonable and unfair some people can be while thinking themselves pious in their bigotry. But this kind of religious discrimination will never improve so long as so many of us continue to grant religious belief any kind of moral authority whatsoever in the public domain.